At just about every place of work in the U.S., a typical eight-hour workday calls for at least one shift meal. Some employers closely monitor the time allotted for lunch breaks while others trust their workers to come and go in a timely manner. Neither of these approaches were going to work for search engine marketing company Red Dog Media. That’s because this Nevada-based operation — launched in 2007 by brothers Michael Landier and Bryce Landier — adopted a more flexible approach to the work day: Let employees choose when they want to work. This flexibility was one in a litany of steps taken toward ensuring that employee work was always the best it could be. However, with flexible schedules and a dedication to managing web properties came the need to keep workers well-fed and never stressed. It was at this intersection that Michael Landier and Bryce Landier decided that an in-house personal chef would make a great addition to the operation that garners clients millions of unique website visits each month. With an in-house personal chef that works strictly for this company, you can constantly choose from balanced meals. “Balanced” is the key words here, as Red Dog Media has ensured that each meal plan for the day is well-rounded. According to WebMD, a “balanced” lunch is one that includes lean or low-fat protein, greens and carbohydrates. “The combination of protein and fiber from whole grains, beans, nuts, vegetables and/or fruit will give you the most satisfying and nutritious combination of foods that will keep you feeling full until dinner,” Connie Diekman, RD, American Dietetic Association’s president, told WebMD. What’s more, the typically health-conscious WebMD even warns workers to watch their wallets when buying $10 lunches Monday through Friday. According to USA Today, the average American could drop $20 per week on lunch orders at local restaurants. That adds up to more than $1,000 annually and Nat Sillin, who heads Visa’s financial literacy department, told the newspaper that such splurges can quickly become an economic burden. “Grocery store or gastro pub, don’t burst your budget on your midday meal,” Sillin told the newspaper. A burst budget is never a concern at Red Dog Media; nor is a greasy meal from a gastro pub around the corner from the office. The in-house chef is always crafting well-balanced meals for the week that will give employees the energy they need. Further, the fact that Red Dog Media consistently works toward retaining top-tier talent means the addition of an in-house personal chef has greatly contributed toward that goal. This is because happy employees who aren’t hungry during their work day are also creating higher quality work. 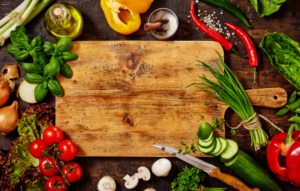 A personal chef is instrumental in creating a less-stressful environment because there’s never any concern at home over what to pack for lunch and when to set aside time to do so. The desire to create a positive workplace atmosphere then begs the question: How do employers gauge employee satisfaction and strive toward offering optimal settings? According to the Society for Human Resource Management, there are a number of “employee support programs” that can be initiated to lessen stress on workers. Some of these support programs include employee discounts and so-called “brown bag programs” for discounted lunch. Since Red Dog Media retained a chef, workers never have to pay for the day’s balanced meals. The company think that this approach goes a long way toward higher quality work from happy employees. The modern workplace is changing. Whereas some companies are moving toward “remote” employees who never come into the office, Red Dog Media doubled down on making their headquarters a positive environment where top-of-the-line technology aids in the production of quality work and web property management. One of the ways that the company’s founders felt they could accomplish this mission was through meal plans backed by medical research that shows a well-fed employee is one who is consistently productive. Conversely, this company values happy employees and has engaged in industry research to meet satisfaction benchmarks. Powered by Tromax Theme. © 2019 Red Dog Media Inc Info. All Rights Reserved.